Have you ever been so tired that even coffee didn’t give you a pick-me-up, so you reached for an energy drink instead? It may seem harmless to gulp down an energy drink every now and then, just to get through your day, but new warnings from the American Heart Association (AHA) caution against the beverage and suggest they can do much harm to your heart. Energy drinks are highly caffeinated beverages disguised in fruity flavours like orange, berry and fruit punch. They can also contain natural stimulants, such as ginseng and guarana. Energy drinks can range from 75 to 200 milligrams of caffeine, which is about 105.2 milligrams more than the average cup of coffee. Researchers found that consuming one energy drink increases the risk of heart issues such as arrhythmia (abnormal heart beat), or ischemia (not enough blood to the heart). Researchers measured how the heart responded after the consumption of an energy drink or a placebo beverage with similar sugar amounts but no caffeine. In those who consumed the energy drinks researchers saw spikes in blood pressure and norepinephrine levels doubled – norepinephrine is a stress hormone that prompts the “fight or flight” mode in the body. A rise in blood pressure as well as stress hormones increases heartbeats and breathing as a reaction to stress. If you’re in a stressful situation, these are normal responses, but if not it can have negative effects. Every time your heart is put under such stress it increases the risk of a future cardiovascular event. Researchers believe the combination of sugar and caffeine is what sparks the heart’s response. Therefore, the research outcome is suggesting that you cut out energy drinks from your daily routine and look for natural, safer ways to boost energy when you’re in a slump. 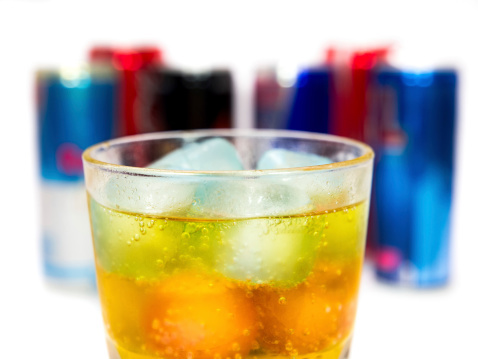 The negative consequences of energy drinks aren’t limited to the heart. Energy drinks have also been found to lead to dehydration, work as a diuretic, interrupt sleep and promote excessive perspiration. These effects are harmful to people of all ages, especially seniors. It has been reported that more and more seniors are consuming energy drinks as a means to “feel young again.” But with the use of medications and other underlying medical concerns, this can be a deadly combination. Unfortunately, energy drinks are a recent phenomenon, so not much research has been conducted into the area of seniors and energy drinks. However, with the already known side effects of energy drinks, it could spell out disaster for those who are older. If a lack of energy is your concern and that is why you’re reaching for energy drinks, try water instead. It has been shown that even the slightest dehydration can cause a lack of concentration as well as fatigue. Staying hydrated is important, so replenishing your body with water will make for a more alert you and a healthier heart.